Separate eggs; put egg whites in a large metal bowl and yolks in a medium bowl. Combine egg yolks with other ingredients and set aside. Using a mixer, beat egg whites until firm peaks form. Gently fold banana mixture into egg whites. 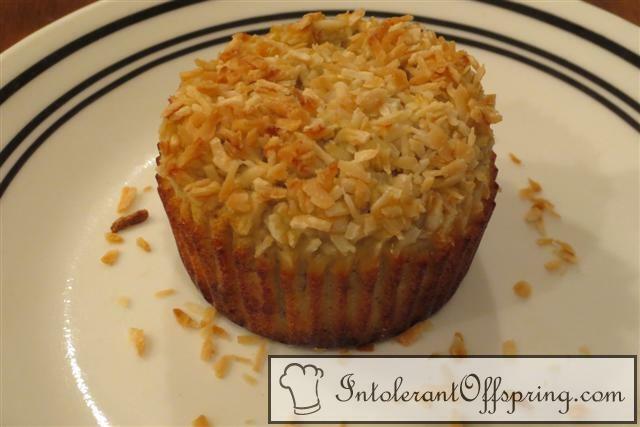 Spoon into 12 greased muffin tins and top with shredded coconut. Bake at 350 for 15-25 minutes or until a toothpick comes out clean. Best served chilled.